Real Madrid midfielder Sami Khedira looks set to complete his transfer to Juventus this summer after turning down the likes of Arsenal, Chelsea and Manchester United. The German international, who won the World Cup with his country last summer, will move on a free transfer after allowing his contract at the Bernabeu to run down. 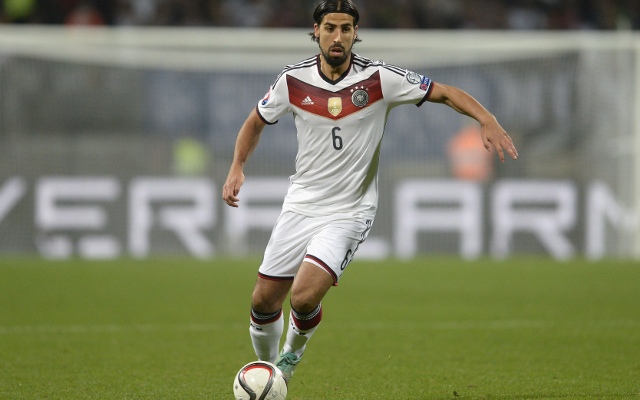 Despite plenty of interest from Premier League clubs, it seems Khedira has settled on a move to the Serie A champions, and has agreed a contract and passed a medical in Turin, according to the Daily Star. Sporting director Beppe Morrata is quoted as saying: “We are very close to Sami Khedira and will announce it officially when pen is put to paper. This will come as some blow to Arsenal and United in particular, with both clubs known to be in the market for new signings in midfield this summer. Still, the 28-year-old’s arrival at Juventus could mean good news for the Gunners in their pursuit of Arturo Vidal, with the former Madrid man perhaps being brought in as a replacement for the Chilean after recent speculation he could be moving to north London.